(Elliot Lake, Ont.) December 24th, 2007 at approximately 7:16 p.m., Ontario Provincial Police (O.P.P.) responded to a complaint and while investigating the incident observed a male youth walking down Mississauga Avenue in Elliot Lake dragging a Canada Post mailbox. Charged with the following is Brett Christian BURKE (19 yrs. old) of Elliot Lake. BURKE is scheduled to appear in court February 5th, 2008. I have been working for the water department for 26 years and your clip art is one of the reasons I stopped drinking the water. One of the first jobs I was given when I came to work here… was to restart the fluoride pumps. The operators were getting erratic readings in their samples. By erratic, I don’t know if they meant too much, or too little fluoride. So I went and checked out the pumps and saw where the fluoride had been leaking out of a pipe fitting and the pump head had stopped pumping. Where it had leaked and dripped onto the concrete pedestal, the fluoride ate a hole right through the concrete. I tightened all the fittings. This piping system is made out of PVC pipe because the fluoride will eat right through, not only concrete, but iron pipe as well. I then proceeded to take the pump head apart to see why it stopped pumping. 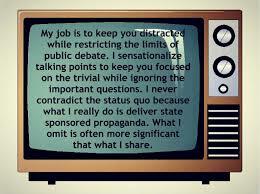 Being new, nobody bothered to tell me how corrosive fluoride was or how dangerous. It burned the cuts on my hands (I’m a mechanic and I get cuts on my hands) and the fumes irratated my eyes. The inside of the pump was all black and gunked up. The ‘Master Mechanic’ told me to just clean it up, that it was nothing more than ‘tar’ and once cleaned it will work fine. So I cleaned it up and put it back together and it worked fine. The one thing that bothered me after I was done was that no operator came behind me to make sure the calibration on the pump was correct, that they were actually dosing the system with the correct amount of fluoride. But, being the new guy and needing a job, I said nothing and I also figured these guys had been here awhile and knew what they were doing. I decided to check the system from tank to insertion point to learn how the system works. There were a few leaks throughout which had also eaten into the concrete floor. I looked inside the tanks and saw that they were metal tanks with a rubber lining on the inside. I asked my boss about that, and he said the lining was to prevent the fluoride from eating through the tank. (Elliot Lake, Ont.) On December 9th, 2007 at approximately 2:24 a.m. police received a call to attend the area of Mississauga Avenue in Elliot Lake regarding a vehicle being stuck in a snow bank. WAWIA is scheduled to appear in court January 8, 2008. (Elliot Lake, Ont.) On December 6th, 2007 at approximately 10:04 p.m. officers of the East Algoma OPP (Ontario Provincial Police) were conducting a R.I.D.E. spot check on Hillside Drive South when police stopped a snowmobile. The driver allegedly provided police with false identification. Charged with Obstruct Peace Officer is Scott Edward SAXBY (23 yrs. old) of Elliot Lake. SAXBY is scheduled to appear in court on February 5th, 2008. Wayne CADDEL (50 yrs. old) of Elliot Lake, Ontario has been charged with Driving While Over The Legal Limit of .08 Contrary to the Criminal Code by the Sault Ste. Marie detachment of the O.P.P. (Ontario Provincial Police). Another driver will have to return him to the Sault Ste Marie Court from Elliot Lake on Feb 4, 2008 due to his licence being suspended for ninety days. When it comes to water quality, the people of Juneau (Alaska) are among the most informed in the state. In October, capital city residents voted to ban fluoride from their water supply. Prior to the vote, Juneau residents gained these facts: most of the fluoride in domestic water begins as waste scraped from exhaust stacks of fertilizer and aluminum factories; most European countries ban fluoride; the substance is linked to a host of diseases, including thyroid and endocrine dysfunction, kidney disease, increased risk of bone fracture, and osteosarcoma in boys. There is also data that indicates it plays a role in dementia, Parkinson’s and Alzheimer’s. In 2006, the ADA issued a directive urging mothers to avoid fluoridated tap water when preparing infant formula. In non-fluoridated communities, the level of fluoride in mothers milk is 0.004 parts per million. This means babies fed formula made with fluoridated tap water (at 1 ppm) get 250 times more fluoride than a breast-fed baby. A baby’s blood brain barrier is not complete at birth, adding fluoride to its system interferes with brain development. It is not a nutrient. Nobel Laureate Arvid Carlsson cited infant health when he opposed fluoridation in Sweden more than 30 years ago. Toothpaste containing the chemical carries a poison warning while the U.S. Public Health Service and the Centers for Disease Control call fluoride a major health achievement and promote its adoption. And yet at the same time, the CDC acknowledges that whatever small benefit fluoride might offer teeth, it happens only when it’s applied directly to the enamel. The agency says that drinking fluoride-laced water is at best a waste; fluoride’s desired effects are from topical applications, not systemic. 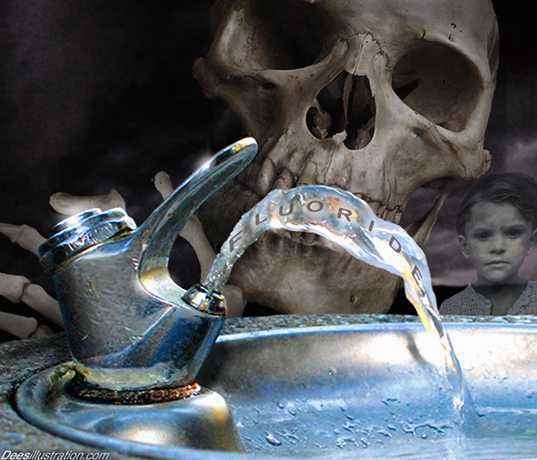 Recent Chinese studies demonstrate that fluoride in drinking water lowers IQ in children. And because it’s so corrosive, it leaches lead from pipes and solder joints, adding another neurotoxin to the body’s burden. Fluoride was first used as a rat poison in Germany in the 1920s. In Nazi and Soviet-era prison camps, fluoride was added to water because it was known to produce confusion and apathy. Today, Europe’s major countries ban it from public water, as does India and Japan. In this country (U.S.), about 66 percent of municipal supplies receive fluoride. Fisheries biologists found that at dams on the Columbia River salmon exposed to fluoride from industrial outfalls became lethargic and confused. They failed to climb fish ladders, spending up to a week in collection basins, where injuries and death increased. When fluoride sources were reduced, salmon moved past the dam without delay. In Elliot Lake, one person can stop it – YOU! 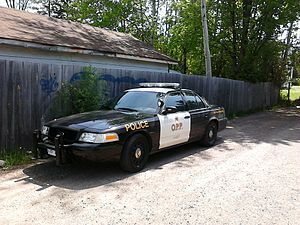 On the 24th October 2007, the OPP (Ontario Provincial Police) Joint Forces Drug Unit which consists of members from the OPP Drug Enforcement Section, Sault Ste Marie, OPP North East Region, Sault Ste Marie Police Service and the Royal Canadian Mounted Police (R.C.M.P.) with assistance from the Elliot Lake and Blind River O.P.P. detachments and Hydro One Theft of Power Investigation Project Team…. executed a Controlled Drugs and Substance Search Warrant at a residence in Spanish/ Shedden Township. As a result of the search Police located a very large and sophisticated marihuana growing operation. Michael THAM (21 yrs. old) of Toronto and Raphael LO (21 yrs. old) also of Toronto were arrested and charged with numerous illegal drug offenses, including unauthorized possession of a weapon and theft of hydro. THAM and LO are being held in jail pending a bail hearing. (Elliot Lake, Ont.) On October 21st, 2007 at approximately 1:00 a.m. officers of the East Algoma OPP (Ontario Provincial Police) set up a RIDE program on Highway 108 in the City of Elliot Lake. Shortly after setting up, police stopped a vehicle and officers requested the driver provide a breath sample. Helmut ZIMMER (69 yrs. old) of Elliot Lake is charged with operating a motor vehicle with over 80 milligrams of alcohol. ZIMMER is scheduled to appear in court in Elliot Lake on December 4th, 2007. (Blind River, Ont.) The East Algoma OPP (Ontario Provincial Police) Crime Unit has completed their investigation regarding possible fraud and theft from local banking institution in Blind River. The complaint originated from the bank regarding a past employee. The theft and fraud investigation revealed over $180,000 missing. DESBOIS is scheduled to appear in court in Blind River December 6th, 2007. Since first posting, 800 views have been tabulated for this one page. (Elliot Lake, Ont.) The East Algoma OPP (Ontario Provincial Police) charged a local man after a traffic complaint was called into the Communication Centre on October 13, 2007. Police responded to the complaint on Highway 108 where they located the vehicle. Subsequently, the driver was investigated and charged. Jason Marshall ROBINSON (20 yrs. old) of Elliot Lake is charged with Breach of Probation and Possession of Drugs. ROBINSON is scheduled to appear in court on December 11, 2007.